This is in line with the Memorandum of Understanding signed between the two institutions which listed promotion of use of technology in enhancing security at the neighbourhood level as one of the key focus areas. To roll out the initiative, a pilot installation of CCTV cameras was launched in Ngei Phase Two in Langata on 29th September 2018. The estate, which is fibre ready, has been installed with four cameras to enhance surveillance and improve security within its boundaries. The functioning of the cameras is powered by the fibre connection in the estate and both the leadership and security firm for the estate will have access to surveillance feeds hence are able to monitor activities in the state on areal time basis. KARA CEO Mr. Henry Ochieng welcomed the partnership and urged resident associations to embrace technology to address their security challenges. “We have seen our members going to great lengths to secure their neighborhood. Given the increasing complexity of crime, leveraging on technology will be a big boost to the fight against insecurity at the neighborhood level” he said. 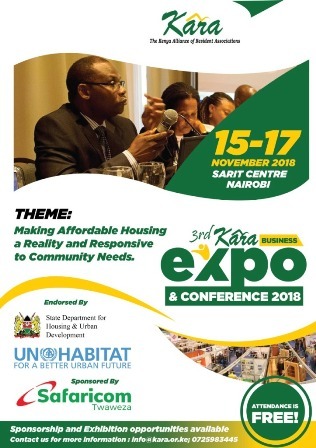 Having carried out a pilot installation in Ngei Phase Two estate, KARA and Safaricom are in discussion to roll out similar initiative in other estates. 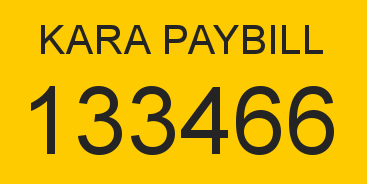 Priority will be given to estates that are members of KARA and are fibre ready.